He’s been the most talked about among the fanbase, but Cespedes has not really been linked to the Mets at all, short of assistant GM John Ricco saying it was unlikely the Mets would sign Cespedes due to his contractural demands. Cespedes said in September he was seeking a six-year deal in free agency this winter. But clearly, such a proposal has not yet materialized for the 30-year-old star outfielder. Having said that, Jon Heyman of MLB Network said in late December the Mets were out on Cespedes and haven’t even had discussions with his agents recently. According to Heyman, the Mets were only interested in signing Cespedes to a 2-3 year deal, and at the time, that clearly wasn’t enough to procure his services. But the White Sox only want to sign Cespedes to a 2-3 year deal as well, which could suggest his market is becoming defined for a shorter-term contract. Even so, there’s no evidence to suggest the Mets will re-engage Cespedes’ agents if that indeed becomes his approximate price point. He’s a Gold Glove left fielder, but below average in center. While he’s clearly willing to play center field, he is much more valuable in the corner, and the Mets don’t have a short-term opening in either left or right field. Still, Cespedes is better than De Aza and better than De Aza in center field. If the Mets were to somehow bring Cespedes back – and there is absolutely no indication that will happen – such a move increases De Aza’s value by making him a full time bench player with speed. And, it puts Lagares – a right handed hitting outfielder – on the bench as well, making for a 3-for-1 deal. Still, the Mets would have an expensive bench with De Aza ($5.75 million) and Lagares ($2.5 million) riding the pine most of the time, especially De Aza who wouldn’t figure to see much playing time whatsoever if the Mets brought Cespedes back. The fans might be ok with that, but the Mets probably wouldn’t be. It’s partly what makes the De Aza signing so strange from a timing perspective. It seems he should’ve been ranked lower in terms of their options, and more of a late January alternative if other options didn’t come through. And if Cespedes signs elsewhere in the 2-4 year range, the move to sign De Aza will look that much less strategic. Pearce, who turns 33 in April, is coming off a down year with the Orioles thanks in part to an early season funk coupled with an oblique injury which kept him out of action from mid-July until late August. He has shown improved power in recent seasons, has reasonably good plate discipline and actually saw his contact rates bump up modestly in his down year in 2015, suggesting he could be a good buy-low candidate this winter for interested clubs. However, Pearce is currently seeking a two-year deal, according to Rich Dubroff of Comcast SportsNet, which could limit his market and his suitors this winter. 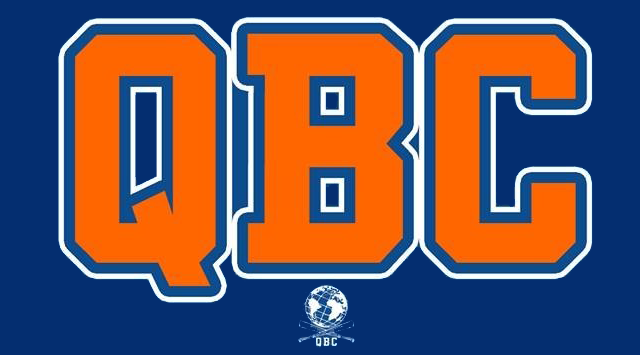 He’s somewhat of a jack-of-all-trades, capable of playing both corner outfield spots, first, second and third base, but isn’t going to wow anyone with his defensive abilities. For the Mets, Pearce could be a solid right-handed bat for them off the bench, and a legitimate alternative to Lucas Duda at first base. He has seen a larger percentage of power come against left-handed pitching in his career, posting an .824 OPS against southpaws in 594 plate appearances. He’s not awful against right-handers, either, although if the Mets were to sign Pearce it’s clear his role would be to primarily face left-handed pitching. 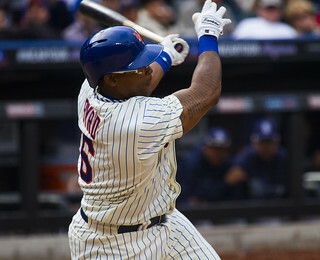 Byrd, who resurrected his career with the Mets on a minor league deal with the Mets in 2013, just keeps on going and continues to be a very productive hitter in this league. And he certainly fits the profile for what the Mets are seeing in a right-handed hitting outfielder. He’s bounced around quite a bit since being traded by the Mets in August, 2013. He’s played for the Pirates, Phillies, Reds and Giants, becoming one of the most sought-after commodities at the trade deadline thanks to his production and short-term flexibility. He’s hit 72 home runs since the start of the 2013 season, the 26th-highest mark in the game during that span and second-most behind only David Ortiz among players 35-years-old and older. He’s also mashed left-handed pitching during this remarkable renaissance. He posted an .820 OPS against southpaws in 2015, a .773 OPS in 2014, and a .959 OPS against the left side in 2013. However, he has seen far more action against right-handed pitching in that time, and has been far from a slouch against the right side at that. Byrd also continues to be an above-average right fielder, although he struggles in left field. The question about Byrd is whether or not he will want to be limited to this kind of role in 2016. Yes, he’s now 38-years-old and it may be hard for Byrd to command a starting role at this stage of his career. But if there is a larger role in store for him, he might be more inclined to take that rather than coming back to the Mets. Jackson, 28, is represented by Scott Boras. Things have not gone well for Jackson since his breakout season in 2012 when he set a career-high in home runs (16) RBI (66) and his batting line (.300/.479/.856). He strikes out a lot, doesn’t get on-base, and while he has been largely a league-average run producer throughout his career, much of that came prior to the 2014 season. However, Jackson did post a .770 against southpaws in 2015. That’s quite a bit higher than his career average of .729, and he’s actually been slightly more productive against right-handers throughout his career as well. All-in-all, Jackson is probably not the best fit for the Mets, as he hardly profiles as the kind of hitter the Mets typically seek. Then again, they’ve signed low-OBP players in De Aza and Cabrera this winter, so it wouldn’t be a surprise if the Mets ultimately sign Jackson. But there are better options currently available to the Mets than Jackson right now. Gomes, 35, was traded by the Braves to the Royals in 2015, although he didn’t have much of an impact on their run to a World Championship in October. In fact, he was excluded from the postseason roster entirely throughout the ALDS, ALCS and World Series. But Gomes always seems to find himself on winning clubs, which suggests his fiery, energetic and sometimes controversial personality is important to the fabric of a successful team, even if his contributions might be limited at this point in his career. Gomes wasn’t particularly productive with either the Braves or the Royals in 2015, posting just a .213/.313/.347 line with only 16 extra-base hits and 78 total bases in 262 plate appearances. But five of his seven home runs came against left-handed pitching, and he drew 23 walks in 124 plate appearances against southpaws, good for a .783 OPS in 2015. He has a career .855 OPS against the eft-side in 1618 plate appearances, far better than his performance against right-handers (.712 OPS in 2391 plate appearances). The question is whether or not Gomes has enough left in the tank to be a solid contributor. If he does, his production and presence could be very valuable for the Mets. While Cabrera is the longest signee, NYM were willing to go 4 yrs for Zobrist even though he is older than YC, Even if YC agreed to a 4 yr deal I suspect Mets management would not be interested as it has been painfully obvious that he was their last alternative at deadline time and they never wanted him longer than a rental. As for Rayburn we get (and this is true for other players) last yrs numbers to justify his acquisition but check what he did in 2014. 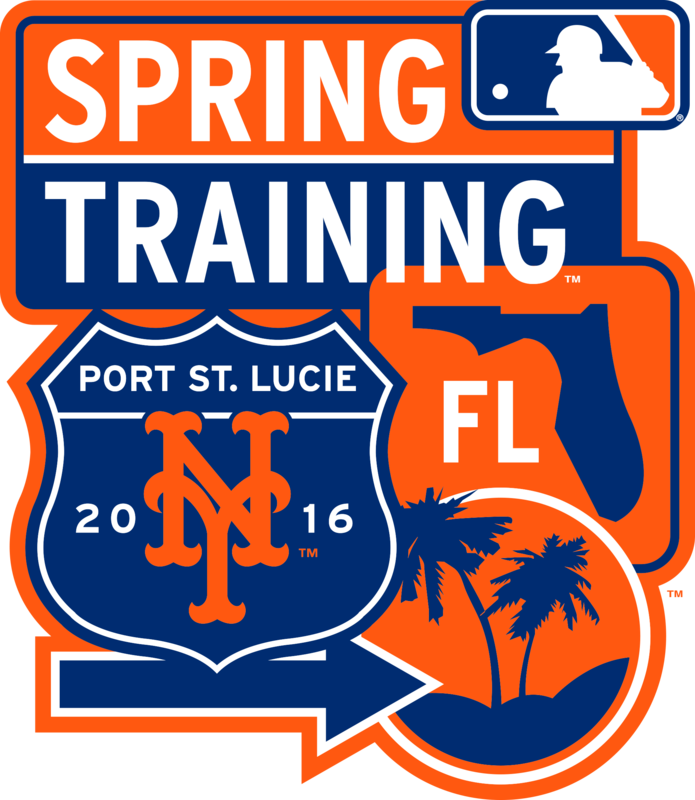 Which player will NYM get. As for the other outfielders, they are all acceptable as a 5th OF on a 1 yr deal. I highly doubt the Wilpons want the payroll around $130 mill this year so Cespedes is not happening. I think Rayburn is a decent option as a back up. I like Marlon Byrd also but getting 200-250 abs probaby will not be good enough for him. I am no fan of Jackson, Pearce and I think Gomes is no longer a big leaguer. Raburn & Pearce are essentially the same player against LH pitching, .260/.340/.485 slash lines (.827 & .824 career OPS respectively) while Pearce is a small amount better against RH pitching (.021 point better OPS, .714). Both can cover the same positions but it is unclear how they compare defensively, especially at the 1B & corner OF spots they would be used. Either will do on a one year deal. I’d like to see the Mets sign the better defender, obviously and from what I’ve read neither is a Lucas Duda/Daniel Murphy like outfielder. Looking at splits one thing that separates them in Pearce’s favor is he maintains close to his average slash line against pitchers with a winning % above .500 while Raburn drops off considerably (WP.500 for Pearce & Raburn – .754 & .757; .811 & .691 respectively). I do think the post overstates Raburn’s ability to get on base. Last year (.393) was an outlier for him as his career OBP vs LH pitching is .339 (.343 for Pierce). Spending big on Cespedes would be a mistake and his CF defense would hurt the team over the course of the season. $3 – 5 Million for Raburn or Pearce and put the remaining money into a reliever. I’d prefer Pearce since over his career he has handled better pitchers consistently better than Raburn. This is a long post and doesn’t give any of the players any kind of glowing reccomendation. Was 2015 just an aberration? Are we destined to return to mediocrity again? Let’s face it, the team is pitcher built and management is working hard to try to forecast upcoming big contracts in the next 5 years. Will they be able to keep Harvey? Probably doubtful unless he goes against Boras. Other than the 4 or 5 pitchers Conforto is next in the list. Everything else I am afraid is just mediocre at best. Ownership doesn’t get many points either. It’s really a shame the Mets can’t jump in and get Cespedes the way the Cubs swooped in to get Zobrist. But we already know the Mets ownership is cheap, financially challenged and need to go. We’ve already exhausted that topic. 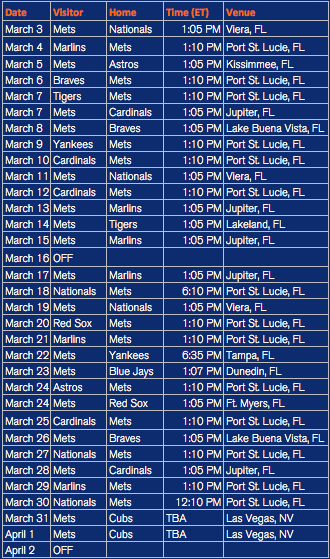 Unfortunately, there’s nothing the Mets fans can do short of not attending games, which will NEVER happen. So what are our options? None.